Indoor garden- a sanctuary of peace! Unfortunately, such pleasures no longer come free, for many city dwellers they hardly come at all. With land prices soaring by the day, creating a garden of our own where we can sit in a quiet corner and hold mute conversation with our beloved companions, seem to be a utopian dream. Despite the seemingly insurmountable odds all is not lost though. We can invite nature right within the four walls of our home and create an inner sanctuary. This is not only a fancy decorative idea, but a necessity in today’s world suffering severely from the effects of rapid urbanisation, industrialisation and deforestation. You may have already read some of the effects of the same in this article. Yes, you will certainly need to strengthen your gardening skills, but the rewards will be beyond even your own expectations. This article will help you to begin the task of creating an interior garden. Select an appropriate location within your house or apartment for building your dream garden. The choicest ones are terrace, balcony and window panes as they receive generous amount of sunlight and fresh air. But do not be disappointed if these spaces are not available for an elaborate indoor garden. You can easily make use of your under stair space, corridor, bathroom or any other suitable area within your home. Treat the floor and the walls if you are using a dark place. Arrange for proper drainage. These precautions will help you to prevent any kind of damage to the internal structure due to moisture build up. 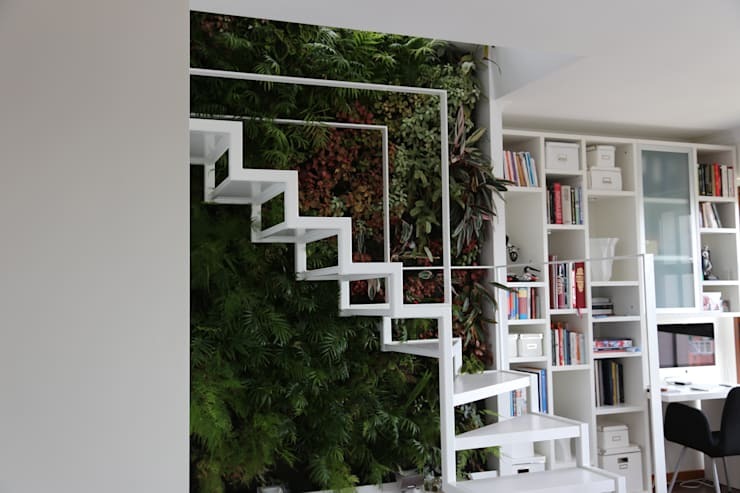 When space is on the smaller side, build a vertical garden. It not only increases the air quality of your home, but also provides acoustics benefit. Set up a solid frame with wiring to hold the potted plants. Be very vigilant about the drainage system. Utilise drip irrigation system to water the plants, especially if you have a large vertical garden. Choose those plants that are known to successfully withstand the limitations of the condition. If you wish to avoid the hassles of building one from scratch, you can bring home a panel wall with pre planted garden. Keep in mind the local climate even if you are creating an indoor garden. Palm and ficus offer a variety of choices and are reasonably easy to grow. Aloe vera, anthurium, peace lily, ixora, peperomia, syngomium, elephant ear etc are easy to care and have great aesthetic value. 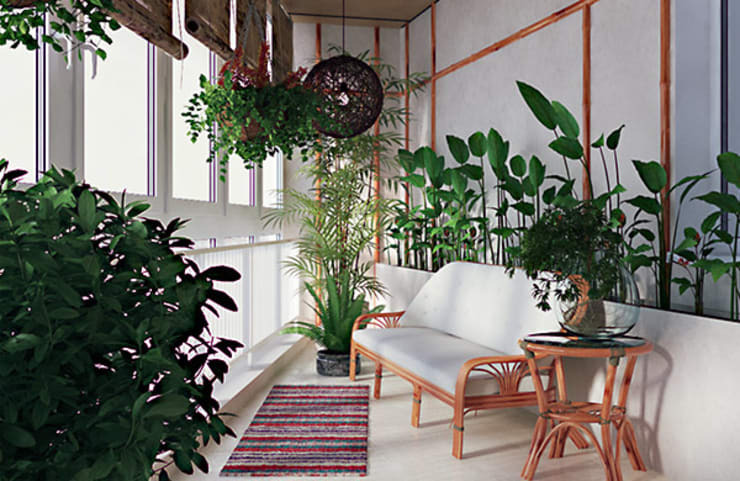 If light is low, consider bringing home snake plant, dieffenbachia, pothos, philodendron, English and Algerian ivy. 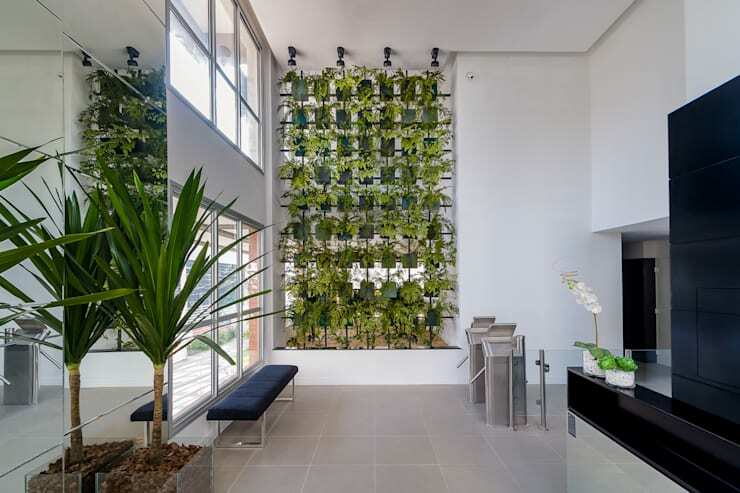 The last option is also suitable for vertical gardens. Nearly all fern species can withstand constant exposure to moisture and is suited for bathrooms. The opposite is true for cacti. Orchid love moisture, but they also need sufficient amount of natural light. Bonsais are best not kept indoors for a continuous period of time. Decorative planters may not be a primary necessity, but having them augment the beauty of the interior. 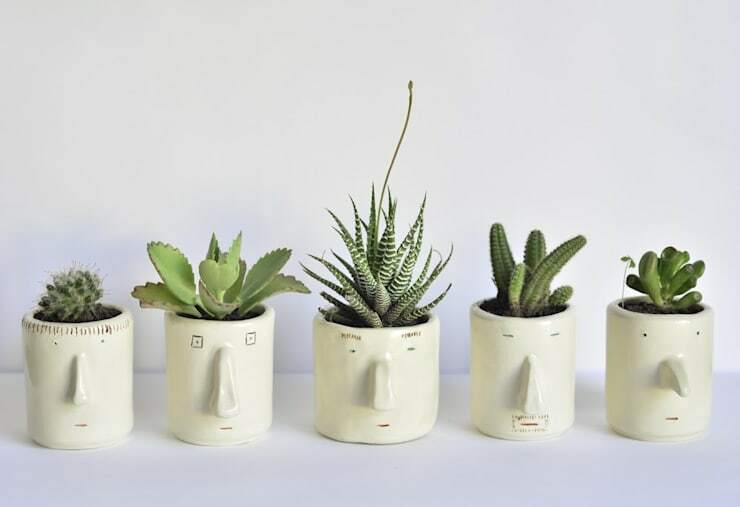 Pompilio Plants use a variety of curious looking ceramic pots to plant herbs and cacti. You can use some of your old glass jars, ceramic pots and cups for the same purpose. Recyled wooden boxes coated with bright hues are suitable for the purpose too. If you are using terracotta pots try to give it a decorative finish by painting various motifs on its surface. These need not be perfect, even abstract motifs will look elegant when done with care. Alternatively, you can colour each pot differently to create a cheerful ambience. Complement your indoor garden with choicest furniture just like you would have done for an outdoor entertainment area. 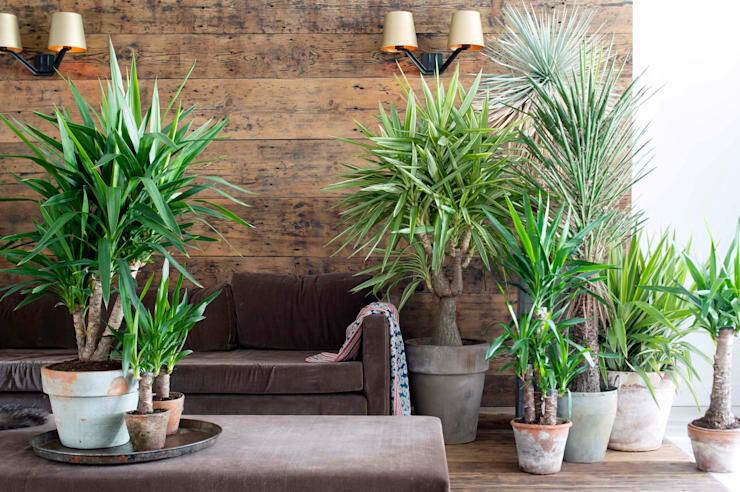 Furniture made of wood, cane or other organic material look best in an interior garden. If you have created this beautiful sanctuary on the terrace or balcony, you can think of investing in a set of resin wicker furniture as well. Cosily upholstered bench or stools with a small coffee table may also look fitting if availability of space is a real concern. Keep it minimal. The beauty of your interior garden is going to overwhelm any artificial elements of décor anyway. Use gracefully designed lighting fixture to cheer up the atmosphere and evoke a proper garden like feel. You may spend many pleasurable evenings here alone or in the company of your dear ones. Do not only trust on the electrical features to create a proper setting. 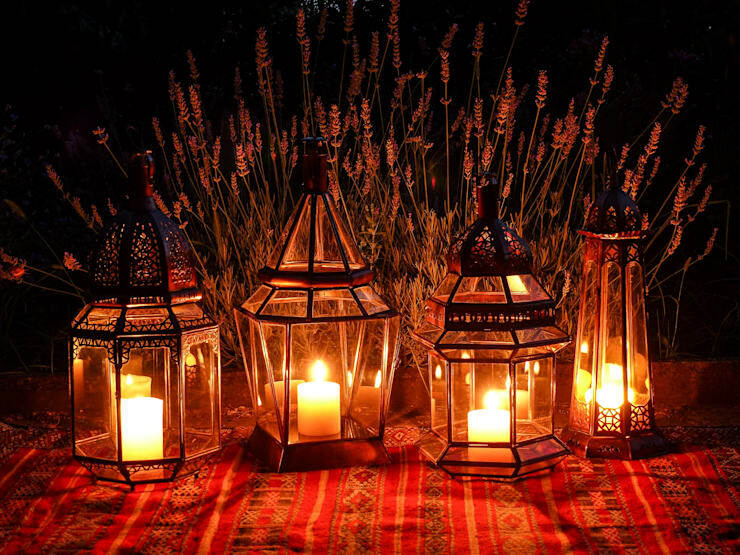 Introduce candles, lanterns, earthen lamp or any other traditional lighting fixtures that you find interesting. Use of aromatic herbs and candles will create a fragrant ambience suitable to drive away all the weariness of your day.